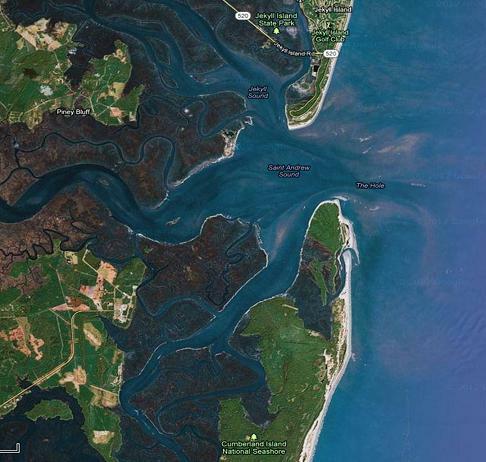 The area of operations in Lewrie and the Hogshead as views from space. 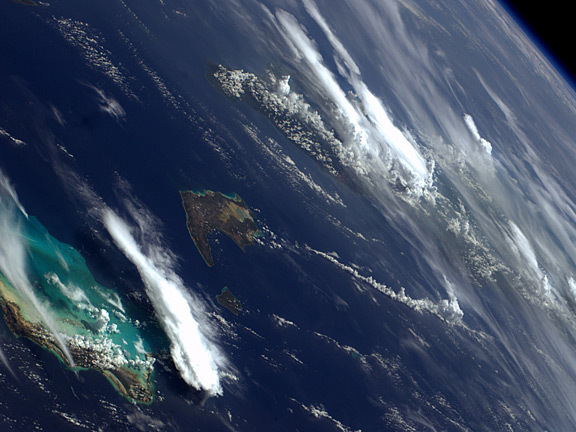 The Turks and Caicos are at lower left, Inagua, Bahamas, in the center, and Cuba under the cloud bank in the upper right. Over the Christmas Holiday we received an extra treat. Dewey Lambdin released a novelette in advance of the release of the newest Alan Lewrie naval adventure, Hostile Shores, scheduled for release on 26 February. This novelette is Lewrie and the Hogshead. The Bahamas are largely a lazy backwater in 1805 and Lewrie is cooling his heels aboard his HMS Reliant leaving the patrolling to his subordinates, a proto-Nelsonian ‘band of brothers’, as he knows the local mercantile interests will panic if Reliant puts to sea. One of his brigs, HMS Fulmar, arrives in port bearing the survivors of an American merchantman, the Santee, which had run afoul of a Spanish privateer. Bored and under pressure from the American consul to do something, Lewrie investigates. The more questions he asks the more it becomes apparent that the American master is being parsimonious with the truth. Leaving one of his subordinates as senior officer aboard Reliant, Lewrie takes to sea with two small combatants to find out what happened to the Santee and why its master can’t quite get his stories straight. Without giving it all away, the plot involves a continuation of that in Reefs and Shoals – the chronic violation of Britain’s attempts to blockade its enemies by American merchants insisting of the right of neutral vessels to trade where they pleased — and explores some of the reasons for the maritime friction that eventually led to the War of 1812. There is nothing in the novelette that moves either the Lewrie character or the series forward, so if you miss it you won’t find it critical to enjoying the next novel. It is short it is an enjoyable and relatively short read that will be welcomed by Lewrie fans. We hope that Mr. Lambdin does this more frequently in the future.